JUST SOLD for a RECORD-SHATTERING $850 PER SQFT at the 501! Rarely available high floor '04 suite at the 501 with premium SouthWest corner exposure and exceptional endless views of English Bay & False Creek. 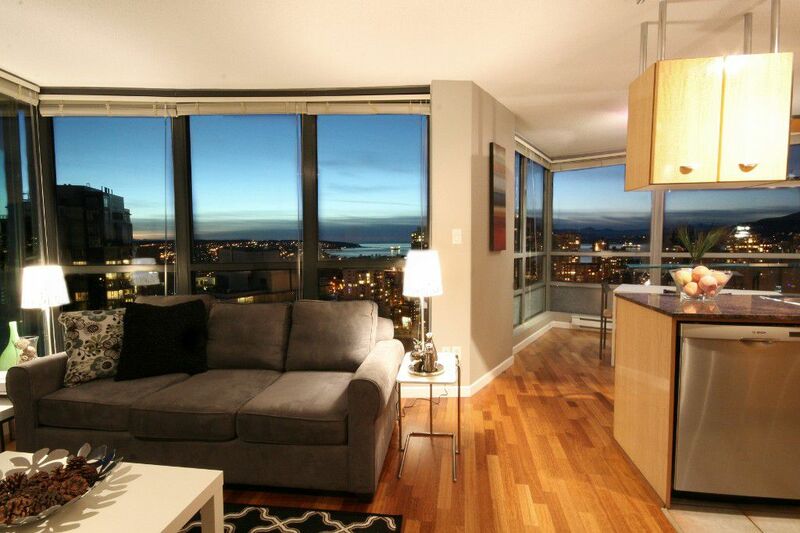 Functional 1 Bedroom + Large Den layout with spectacular views from all principal rooms. Den can be used as spacious home office, or even a guest room and its modular wall provides the ability to keep this space as open or private as you choose. The kitchen is perfectly situated for entertaining and offers granite counters, stainless appliances & a gas range. Watch spectacular sunsets year round from every room. This unit comes complete with an outdoor balcony, insuite laundry, secure underground parking (right next to the elevator) & a generous -sized storage locker. Awesome amenities include and indoor/outdoor pool & jacuzzi, gym, outdoor beach volleyball court, a huge party room, and 2 guest suite (to accommodate out-of-town company). PETS & RENTALS are allowed. 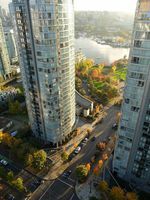 The 501 is a very well-maintained building with an unbeatable Yaletown location (nestled right between Yaletown and Beach Crescent) AND the future 'Beach District' shopping just steps away at the foot of the Granville Street Bridge! Perfect for full time occupancy or a pied-a-terre. OPEN SAT & SUN February 28 & March 1, 2-4pm. 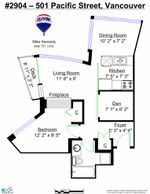 Click the Floor Plans tab for both 2D and 3D floorplans.